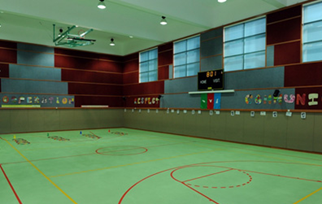 Emirates National Schools (ENS) first opened its doors in 2002 in Mohamed Bin Zayed City in the emirate of Abu Dhabi. 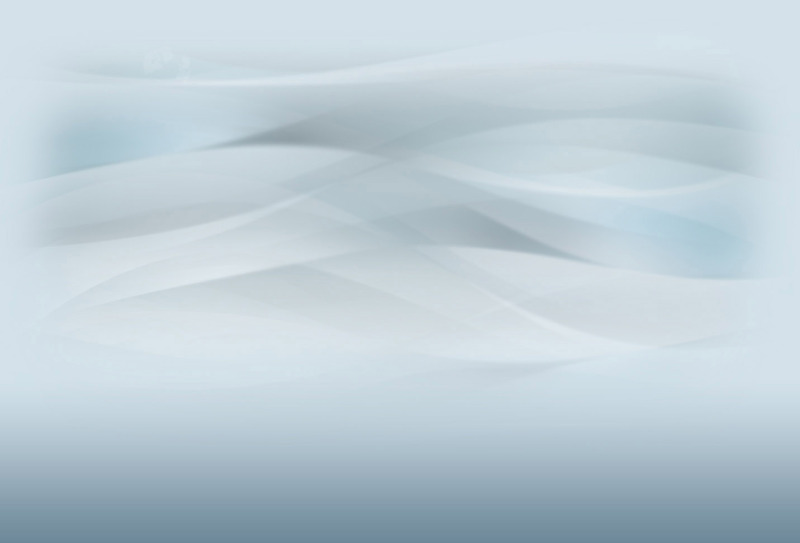 ENS was established by a Presidential Decree and is affiliated with the UAE’s Ministry of Presidential Affairs. ENS currently consists of five campuses. 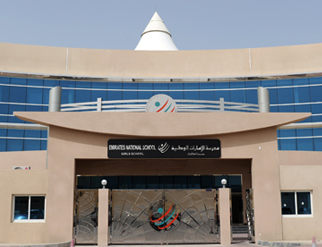 Three of the campuses are in the emirate of Abu Dhabi, in Mohammed Bin Zayed City, Al Ain City, and Abu Dhabi City and offer Kindergarten through Grade 12 programs. 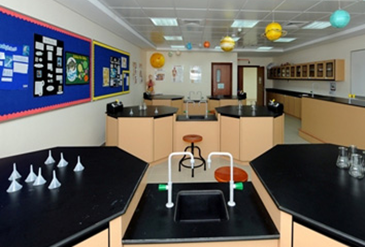 The other two new campuses are in the Emirates of Sharjah and Ras Al Khaimah and offer kindergarten through Grade 8 during the 2016 – 17 academic year. Since 2002 -03 the number of students ENS serves has grown to 9,500 students in the academic year 2016/2017. ENS is expected to grow to more than 14,000 students in the next 3 to 4 years. 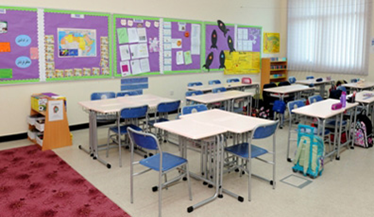 ENS instructional programs are based upon the educational requirements prescribed by the UAE Ministry of Education, for Arabic, Islamic and UAE Studies, and the Common Core Standards for our American curriculum content. We use an American based high school diploma model for students to earn their high school diploma in all ENS campuses. Preparing future leaders through innovation in education and treasuring of cultural heritage. Emirates National Schools will provide students with educational programs that develop character, use technology to improve learning, and prepare students to be leaders and community members. Emirates National Schools qualifies students to be future leaders, by providing them with advanced education that will prepare them with the knowledge and qualifications needed to be successful and distinguished in this fast-paced world. Using tradition to provide a solid foundation, we aim and focus on developing each student’s skills in research and critical thinking. These skills are vital in shaping an individual that is balanced, proud of the national identity, illustrates heritage and leadership. In ENS we strive and commit to fully prepare and equip generations of future leaders. The ENS learning path begins in Preschool and continues through Kindergarten and Primary School where it rests on the framework of the International Baccalaureate & Primary Years Programme (PYP) and US Common Core Curriculum. The journey continues through the secondary level (in separate Boys and Girls Schools), using the International Baccalaureate Middle Years Programme (MYP) framework. Students in grades 11 and 12 have access to the International Baccalaureate Diploma Programme (DP) and College Board Advanced Placement Program (AP). ENS offers the option of the College Board Advanced Placement Courses because it permits students to earn credits that are recognized by colleges in 58 different countries around the world. ENS completed a five year plan to attain full IBO authorization for the Primary, Middle, and Diploma Year’s programs and to offer College Board Advanced Placement courses at the three large campuses. The two new campuses are candidates for International Baccalaureate Authorization Primary Years Program and will go through their authorization review in 2017 – 18. Also as a part of the first strategic plan, ENS attained AdvancEd Accreditation for the Emirates National Schools System. This includes the educational programs at all five ENS campuses. Additionally each of our campuses holds accreditations through the Ministry of Education and local accrediting bodies. Our goal is to provide ENS students in kindergarten through twelfth grade with an educational program that allows our students to be prepared for college, work and citizenship. ENS strives to provide a first-rate education to future Emirati leaders while preserving the beliefs that form the national identity. Our schools continue to grow. 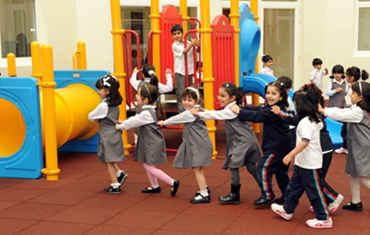 The campuses are divided into four schools: Kindergarten (KG 1 and KG 2); Primary (Grades 1 to 4); Girl’s School (Grades 5 to 12); and, Boy’s School (Grades 5 to 12). 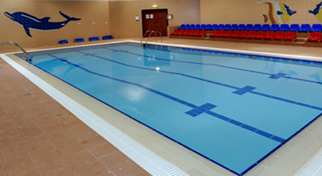 All facilities are comprehensive in design and provide up to date canteens, gymnasiums, swimming pools, science labs, health rooms, technology labs, multi-purpose rooms, prayer rooms, auditoriums, indoor play areas, conference rooms and storage areas. Three of the campuses have housing available onsite. Initial enrollment, in 2002 – 03, was 129 students on one campus. Since then we have grown to more than 9,500 students in 2016 – 17 on 5 campuses. ENS anticipates to grow to more than 10,500 students in 2017 – 18 and to more than 11,200 in 2018 – 19. Our current facilities can house more than 14,000 students. Our student body is made up primarily of Emirati Nationals. Approximately 90% of our students are locals. ENS has a 100% graduation rate and rate for students to attend college. ENS has many students that are in colleges in the UAE and throughout the world, including: USA, UK, Canada, Australia, Germany. Our students place well in national and international competitions including, World Skills, athletics, writing, mathematics and science. During the 2016- 17 academic year ENS employed 651 academic teaching staff at the 5 campuses. More than 80% of this staff is charged with delivering the American Based Common Core Curriculum Program. These native English speaking teachers come primarily from the following countries: USA; Canada; United Kingdom; Ireland; New Zealand; Australia and South Africa. Our native Arabic speaking staff come mostly from UAE, Jordan, Egypt and Lebanon. Teaching staff are initially given two year contracts and three year visas. 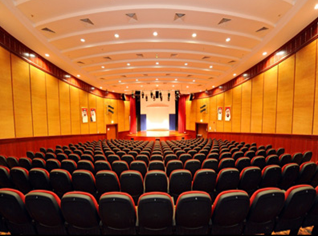 Emirates National Schools is governed by a 6-person Board of Directors that are appointed to three year terms. The Chairman of the Board is HE Ahmed Al Hameeri. Several board appointed committees exist to assist the Board and Director in fulfilling its duties. The committees include; Audit; Finance; Student Activities; and Parent Relations. The Central Office staff includes Directors for Finance and Administration, Curriculum, Information Technology, Facilities; Human Resources, Communications, and Compliance. The City of Abu Dhabi is a very modern, well planned and vibrant city. It is home to the UAE National government. The city and Emirate of Abu Dhabi are home to many religious, cultural, and entertainment facilities. Transportation infrastructure and facilities are well maintained, easily accessed, modern and up to date. Public transportation is easily available throughout the city, emirate and country. The airport provides a gateway for direct access to countries all over the world and boasts modern facilities and great choices and world class service. New art and cultural museums are opening in the city and the city is host to the F1 Racing Series and HSBC Championship Golf Tournament each year. World Class Shopping Centers, Hotels and Resorts are abundant. Emeriti Hospitality abounds everywhere. 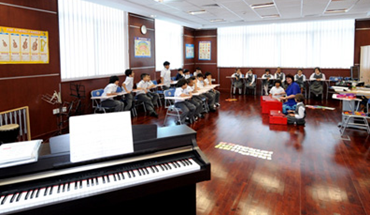 Schools and Universities are highly regarded and produce strong academic results. The city of Dubai is 75-minute drive from Abu Dhabi. The historic city of Al Ain is 75 minutes from Abu Dhabi and is home to many cultural facilities, entertainment and sports facilities, and a world famous zoological park. To provide leadership, supervision and management of Emirates National Schools. The position oversees the long-term planning and daily operation of the PreK -12 campuses in the areas of instruction (learning), operations (administration), governance (Board of Director policy and procedures), human resources, facilities, finance, community relations, and other duties as assigned by the Chairman of the Board or designee. The Director General serves as an ex-officio member of the Board of Directors and provides consultation and advice to the board, organizes meetings, communicates with the Board on matters affecting the schools and oversees the operations of the schools on behalf of the Board of Directors. Please Note: The ENS search committee reserves the right to appoint a candidate prior to the application deadline. Therefore, it is in your best interest to apply as soon as possible.